Headquartered in Burlington, North Carolina, we have thousands of employees working in laboratories, service centers and on distribution routes from coast to coast. Explore LabCorp jobs and see where your passion will make a difference. Jobs.LabCorp.com is the only official website for employment opportunities with LabCorp. Applications for employment on any other website will not be considered. If you have been requested to apply for an employment opportunity other than through Jobs.LabCorp.com, or, if you have sought out career opportunities with LabCorp and found a different website in your search, you should NOT submit your application, nor should you provide any personal identifying information such as a social security number, birth certificate, financial institution information, driver’s license number or passport information. From FORTUNE Magazine, February 1, 2019. 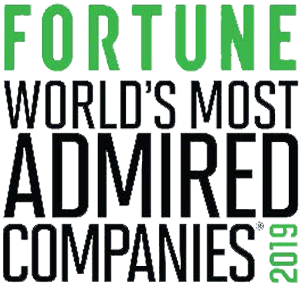 ©2019 Time Inc. FORTUNE and The World’s Most Admired Companies are registered trademarks of Time Inc. and are used under license. FORTUNE and Time Inc. are not affiliated with, and do not endorse products of, LabCorp. Click the map below to view our available positions by location! If you unraveled all your chromosomes from all of your cells and laid out the uncoiled DNA end to end, the strands would stretch from the Earth to the Sun 65 times round trip. LabCorp offers forensic and DNA identity services, including mitochondrial DNA (mtDNA) sequencing and PCR technologies for positive identification. LabCorp provides clinical trial services that help support drug development programs. If you combined all of LabCorp's facilities into one, you'd have an area big enough to fit the island of Bermuda. LabCorp's Service Representatives log over 97 million miles of travel each year. The distance from the Earth to the Sun is approximately 93 million miles. LabCorp offers an extensive esoteric testing portfolio and groundbreaking technologies to a broader audience, including medically important genomic tests.